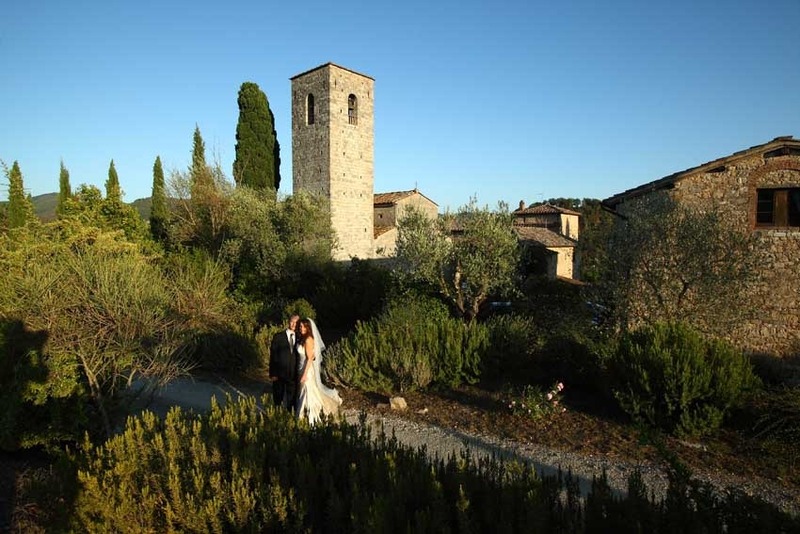 The small village of Gaiole in Chianti is located between Florence and Siena, in the Chianti Classical area. The territory of Gaiole is well known for imposing castles of extremely ancient origins, all of them have been restored and are now Castle hotels were amazing wedding banquets can be organized. 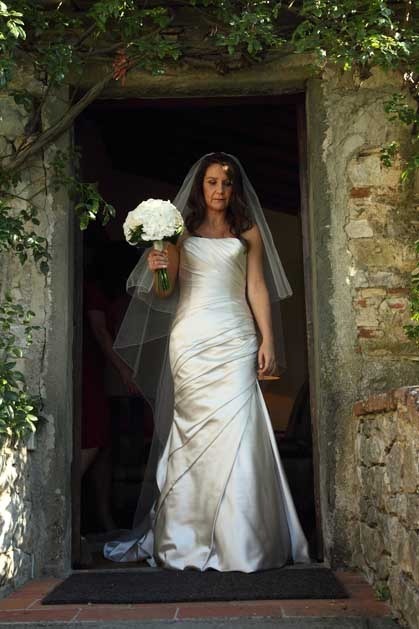 Some of them have also churches on their grounds where Catholic Weddings for non-residents are allowed. 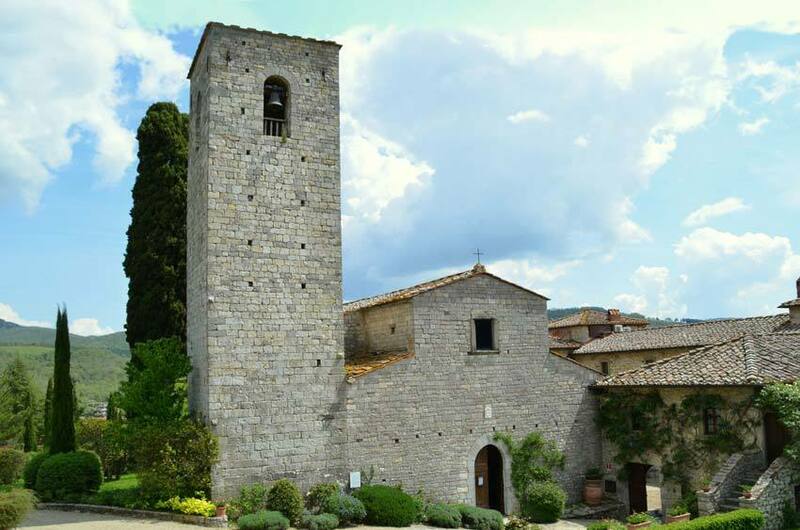 A really enchanting church in the Chianti is the Romanesque Pieve di Santa Maria that boasts a massive bell tower. 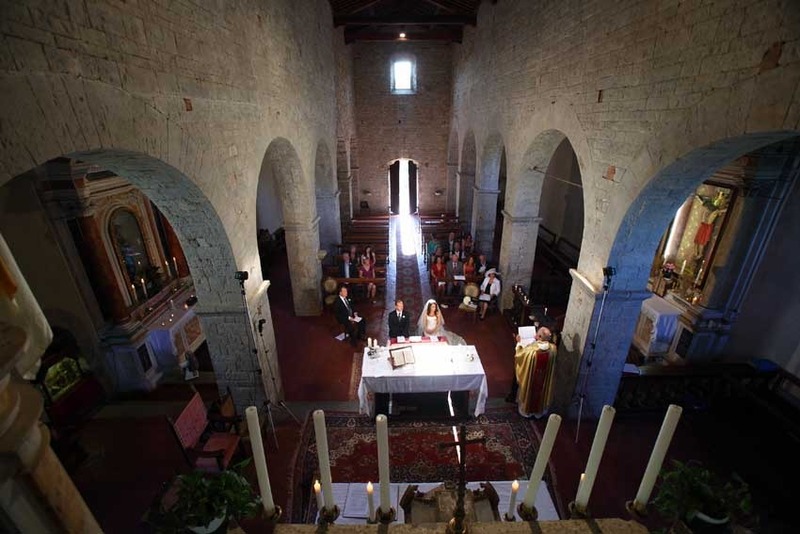 The interior of the church is softly illuminated by small windows that create a mystical atmosphere. Three naves and one single apse. 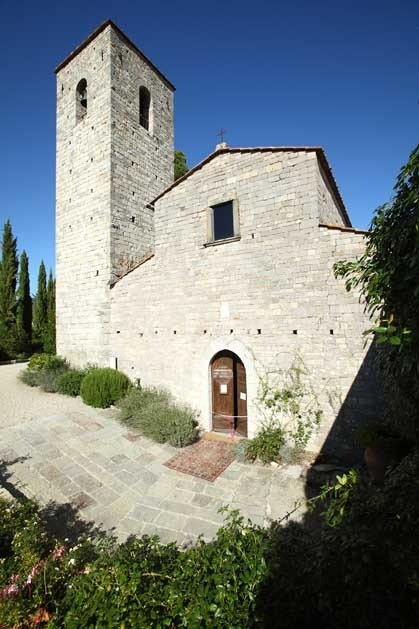 The architecture is simple but charming, respecting the surrounding where the church stands. 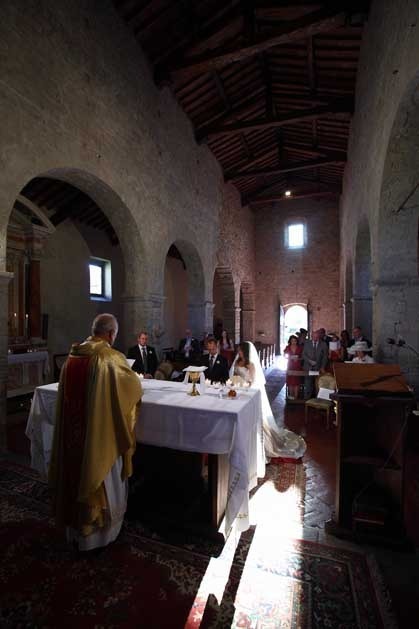 The priest is happy to welcome foreign couples in his Church and allow Catholic weddings with civil validity. 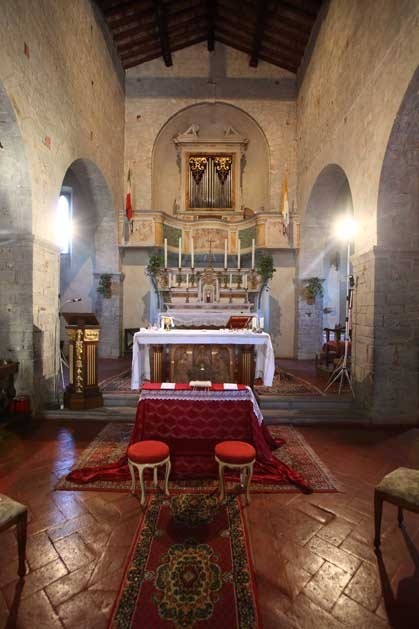 Inside the church there is a beautiful kneeling stool with a precious carpet which are at disposal of Bride and Groom as a beautiful decor for wedding ceremonies. Floral decorations are allowed. 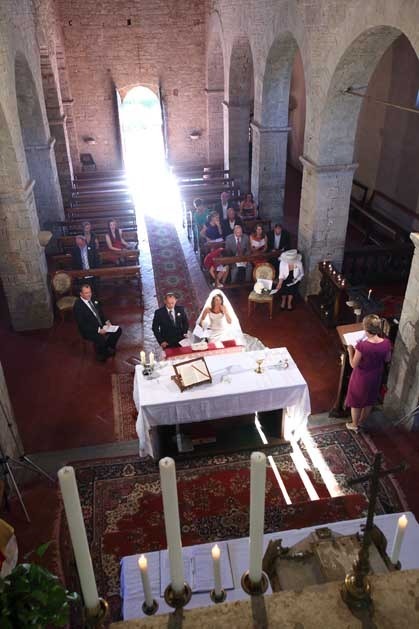 An English speaking priest is available and the Church organ can play beautifully during the ceremony.